We had a very exciting delivery from Bandai last week, a surprise box for Ryan, my youngest. 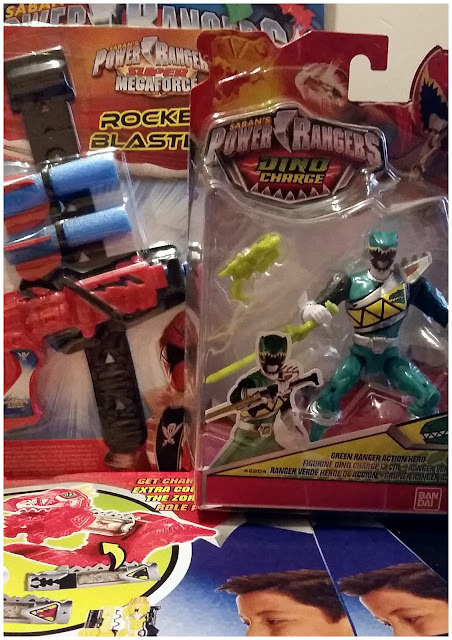 Inside our box we found lots of awesome Power Rangers Dino-Charge toys which are brand new to Bandai. We were very excited to try them out, I say we but really I meant Ryan as he was the most excited of all. Power Rangers are one of his faves. Inside our box we found a cool new Power Ranger action figure, 2 trendy magazines which are going to be great for the rainy days when we're stuck indoors and some fab books too. Last but certainly not least as this was Ryan's favourite toy ever, there was a Power Rangers Dino Charge Morpher. Your children can be just like the Dino Charge Power Rangers with the all new Deluxe Dino Charge Morpher! Simple press the trigger to unleash cool LED light effects and over 25 battle sounds. They can unlock even more unique sounds by inserting a Dino Charger, then spinning the barrel to charge it up. 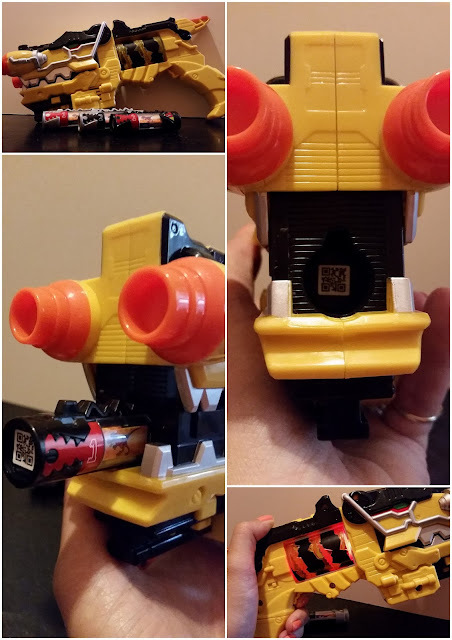 The Morpher can identify over 40 Dino Chargers and when inserted will announce the name of the Dinosaur and the Ranger it belongs to, just like in the show. 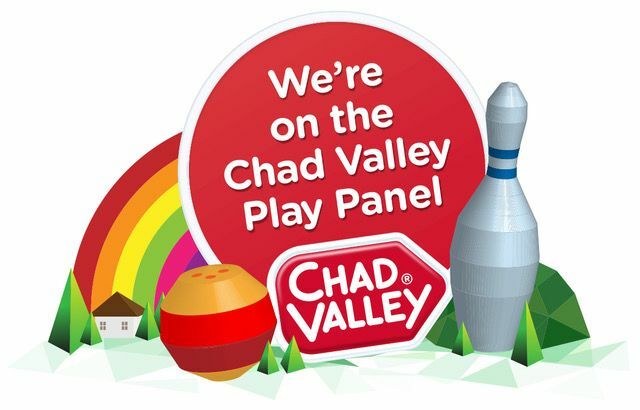 It's pretty awesome, isn't it! To me it kinda looked like 'just another noisy gun toy' but to Ryan I could see that it was so much more than that. To Ryan it was a recharging, light showing, noise making, mega toy. He was so excited by it, he actually ran around the house in his PJ's. The Power Rangers Dino Charge Morpher is a Morpher and Battle Gear in One and includes 2 x Dino Chargers. 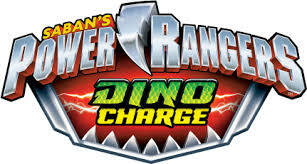 You insert the Dino Chargers to unlock the lights and Sounds from the TV Series. It may be shaped like a gun toy but it doesn't actually fire anything. 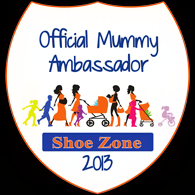 It's aimed at children aged 4 and over and does require 3 LR44 batteries which are included. 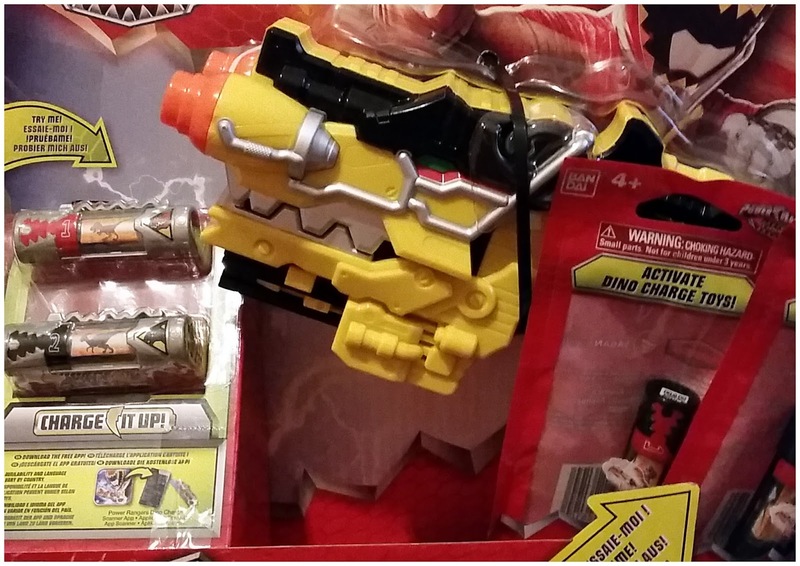 Box Contains: 1 x Morpher and 2 x Dino Chargers. It's very easy to load, I showed Ryan just once and then he could happily do it himself. There's a handle to pull down which then opens the front where you insert the Dino Chargers before closing it again. Again to release them there's two little buttons, one on either side which lets it out. You'll be glad to know that even if your child puts the Dino Chargers in, in the wrong way. They will still pop back out just as easily so theres' no need to worry about letting them do it themselves. Putting them in the wrong way will not break it. The lights and sounds are pretty impressive and only go off when the trigger is pressed so you can keep it quiet if you wish too which is always good for us mums to know. 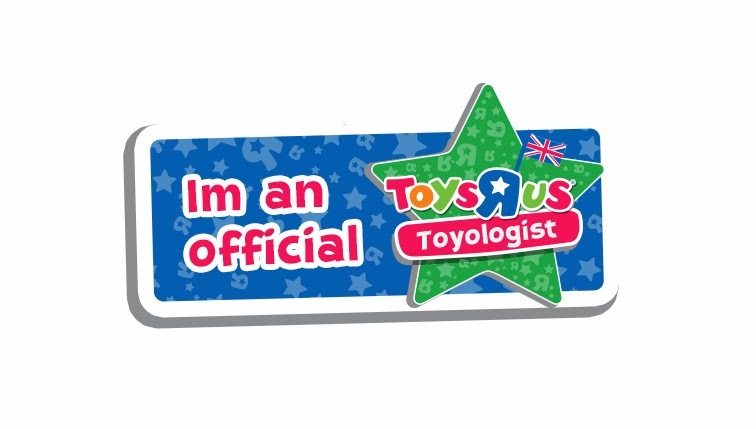 There's nothing worse than a toy that goes off continuously even when not being played with. 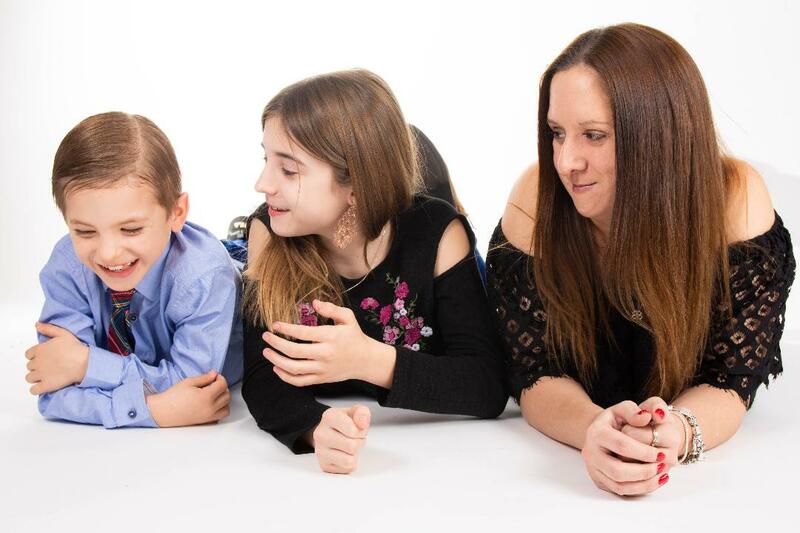 And so, my little man Ryan is happy which means that I am happy meaning that everyone here at Mummy Of 3 Diaries is happy. 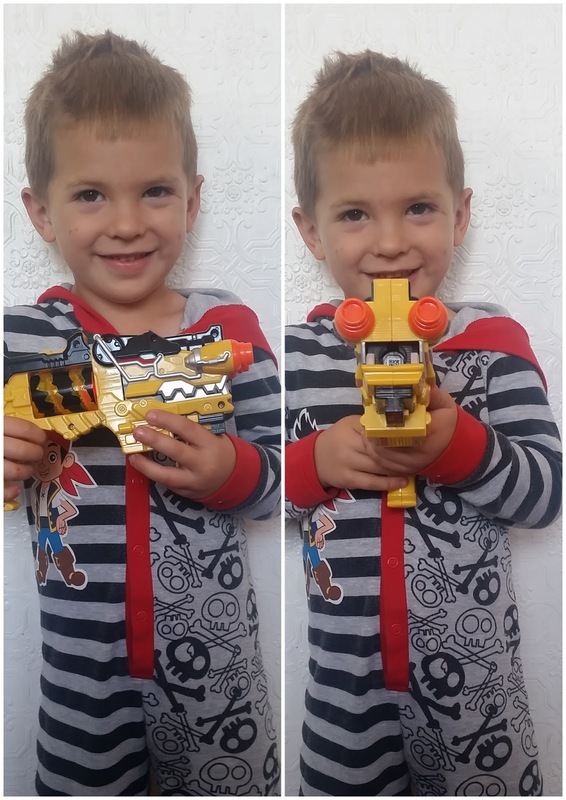 The new Power Rangers Dino-Charge toys have been great fun to play with and Ryan just loves his new Dino Charge Morpher. I have a feeling that this one is going to remain his favourite for a long while to come. He really loves the fact that he can change the Dino Chargers all by himself, it's a real 'big boy' toy. Disclosure: We were sent our box as a surprise so were in no way obliged to write about the items, we have because we liked them and wanted to share them with you. Hi! I've been following your website for some time now and finally got the courage to go ahead and give you a shout out from Atascocita Texas! 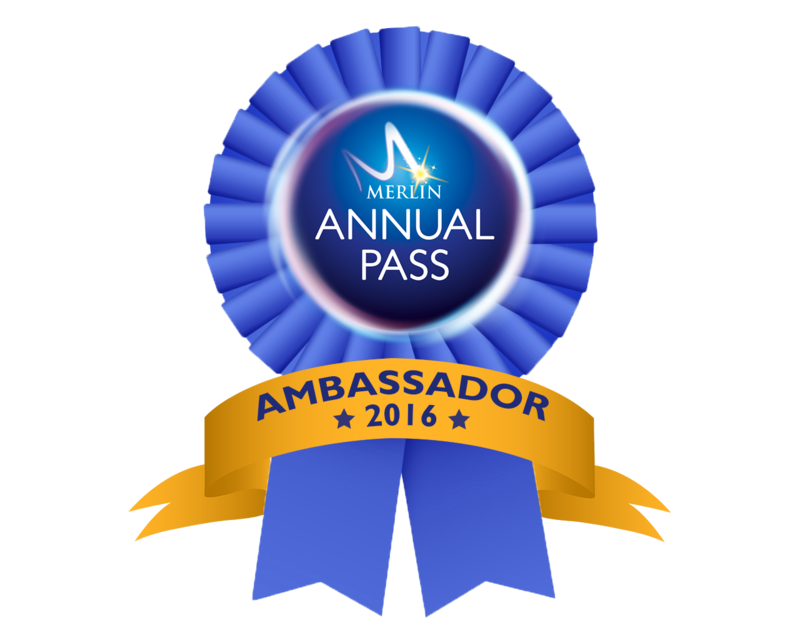 Just wanted to mention keep up the fantastic work!